The Russian Foreign Ministry said on Monday that the adopted resolution is irrelevant regarding real concerns about human rights violations in East Ghouta and doesn't address the issue of humanitarian aid deliveries to civilians. The ministry noted that the UK delegation's position proves that, as they "with the support of the United States, refused to back the amendments proposed by Russia and a number of other states which were aimed at condemning terrorism in Syria, the shelling of Damascus by militants, and warning illegal armed groups against preventing civilians from leaving East Ghouta." "Thus, the representatives of the United States and the United Kingdom actually acknowledged their own unwillingness to comply with the requirements of UNSC resolution 2401 and, in fact, confirmed their support for the terrorists in East Ghouta, many of which are associated with Al-Qaeda," the statement reads. By condemning the rejection of the amendments, the Foreign Ministry has followed in the footsteps of Russian diplomats, who also blasted the UNHRC resolution. Russian permanent representative to the UN Office in Geneva Gennady Gatilov said that those who initiated the resolution are "supporting militants, turning a blind eye to their crimes" and are "not interested in the resolution of the Eastern Ghouta crisis." The resolution, which was adopted in a 29-4 vote with 14 abstentions, condemns attacks on medical facilities and civilian infrastructure, "airstrikes against civilians," and the "alleged use of chemical weapons in East Ghouta." Russia sought to add clauses to the document stating that the countries condemn all terrorist acts in Syria, including those in East Ghouta, and agree not to provide any support for terrorists, as well as include in the document a paragraph on the crimes of militants against civilians and the deliveries of humanitarian aid to East Ghouta. The vote in the UNHRC follows the adoption of the UN Security Council resolution urging a 30-day truce on the entire territory of Syria to ensure the safety of humanitarian aid and the medical evacuation of those injured. 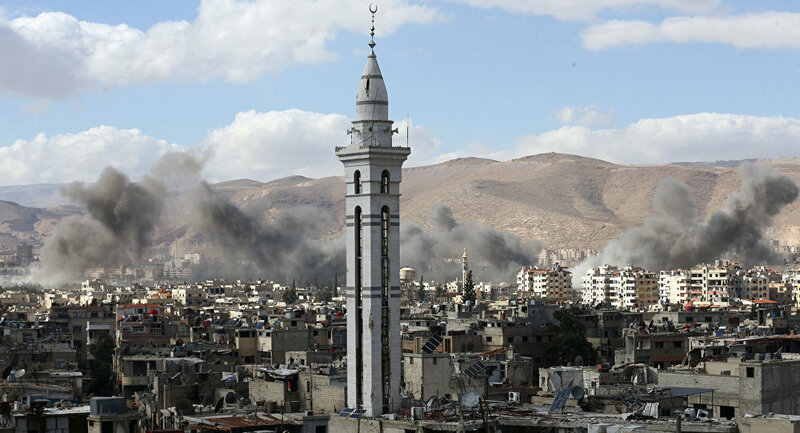 The tensions in Eastern Ghouta have been running high over the past several weeks with the militants, including those from the former Nusra Front, violating ceasefires and preventing civilians from leaving the embattled suburbs.